No-one cares who you are going to vote for. Or why. So, here's who I am going to vote for and why. In 2010, as I had in 2001 and 2005, I voted for the Liberal Democrats. They seemed like a nice bunch. But, it turns out, they are not a nice bunch at all. Putting aside for one moment my dark suspicions that they have perhaps always been the Diet Conservatives, they have facilitated the worst government since the Khmer Rouge seized control of Cambodia in the 1970s. I live in the safest of the safe Conservative seats. The last MP who did not represent the Tories that our constituency returned to Westminster was a fish who had not quite evolved the full capacity to live on dry land, back when the Earth was just a ball of molten rock hurtling through space shortly after the Big Bang. You could argue, then, that it doesn't matter who I voted for. But tell that to my conscience. One day British politics may change or, more likely, my address will and the Liberal Democrats will need my vote. They will never get it. Not in this lifetime. So, to 2015. My political convictions have not changed in the last five years, although my understanding of political realities have taken something of a kicking. What I want above all other things is for a change of this wretched, awful government. 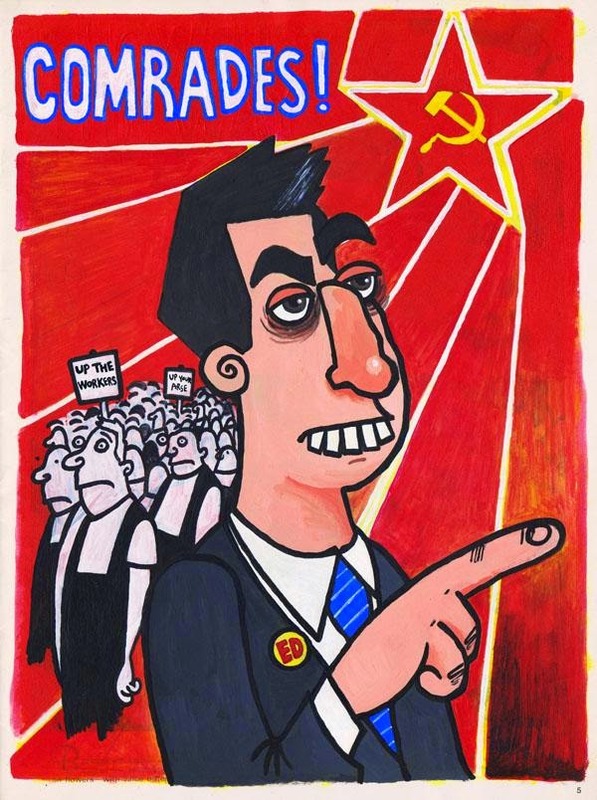 Learning to love Ed Miliband has been the answer. Again, safest of safe Conservative seats. It doesn't particularly matter who I vote for on a local or national level, the way the British electoral system works. So it all boils down to conscience again. Last night I realised that I cannot, despite earnestly believing that I would until yesterday, vote for the Labour Party in 2015. Maybe I'm wrong. Maybe Ed Miliband is like every other politician in the world, where expediency and the desire for power rather than principle is the sole guide to their actions. But his hard line denial and refusal to try and work with the SNP seems to me to suggest that he is willing to let the Conservatives get back in to Downing Street again based on nothing but principle and vainglorious pride. This is not just the Conservatives bolstered by the stinking Liberal Democrats, either, but the Conservatives with help from the vile UKIP and venal Democratic Unionist Party. It would be the worst coalition since the one George W. Bush built to go and rain death on Iraq in 2003 and this time, the blood (hopefully only figuratively speaking) would be on Ed Miliband's hands. 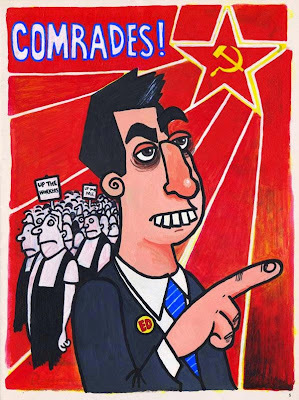 I like Ed Miliband. I admire him. I think he would be a good Prime Minister and I hope that by this time next week he will have been given an opportunity to prove it. But above all, I would like to be able to vote for him and his party again in the future. If I vote Labour in 2015 and his intransigence leads to five more wretched years of Conservative government (and we really ain't seen NOTHING yet) then, after last time, it would be more than my conscience and I could possibly bear. So this is why I am going to be voting for the Green Party on Thursday morning.